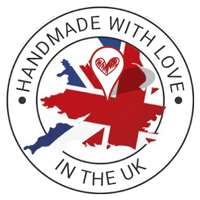 handmade.dog is committed to preserving and safeguarding your right to privacy. 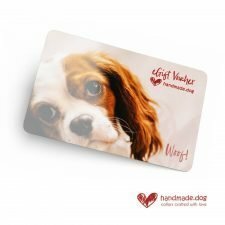 Information that you provide to us by filling in forms on our website www.handmade.dog (“Site”), on forms or documents you send to us by post, by email or by telephone. This includes information provided through using our services or requesting further services whether on-line or by post, email or telephone. Such information may include your name, address, telephone number, email address and other contact details. handmade.dog is committed to protecting the security of your personal data. We use a variety of technological and organisational protections and procedures to help protect your personal data from unauthorised access, use, or disclosure, such as encryption and passwords. Whilst we strive to protect your personal data, handmade.dog cannot ensure or warrant that the personal data or private communications you transmit to us will always remain private. The transmission of information via the world wide web is not completely secure. Although we will do our best to protect your personal data, we cannot guarantee the security of your data transmitted to the Site and any transmission is at your own risk. Once we have received your information, we will use strict procedures and security features to try to prevent unauthorised access. handmade.dog does not, sell, trade or rent your personal data to third parties. We will not disclose your personal data to third parties for their own marketing purposes unless you have provided prior consent for such disclosure. The Site may, from time to time, contain links to and from other related websites. If you follow a link to any of these websites, please note that these websites have their own privacy policies and that we do not accept any responsibility or liability for these policies. Please check these policies before you submit any personal data to these websites. In some circumstances, a change in or withdrawal of consent may limit our ability to provide products or services to you. Because some of our marketing communications are developed in advance, you may sometimes receive some communications after we receive a change in your consent to provide you with communications.